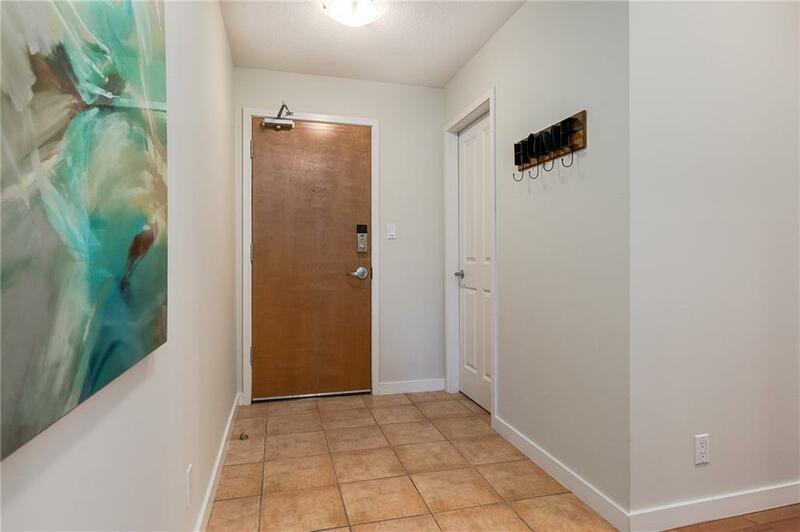 Nestled amoungst the trees at the west end of the Marquiss park-like grounds, youre sure to be impressed with this updated, spacious, 2 bdrm suite. Move in ready with hardwood floors, new high-end stainless steel kitchen appliances, granite counters and breakfast bar perfect for entertaining friends and family, spacious dining room wrapped in windows with lovely garden views, cozy gas fireplace in the living room, second bdrm & 3 pc bath - perfect for a room mate or when guests come over. 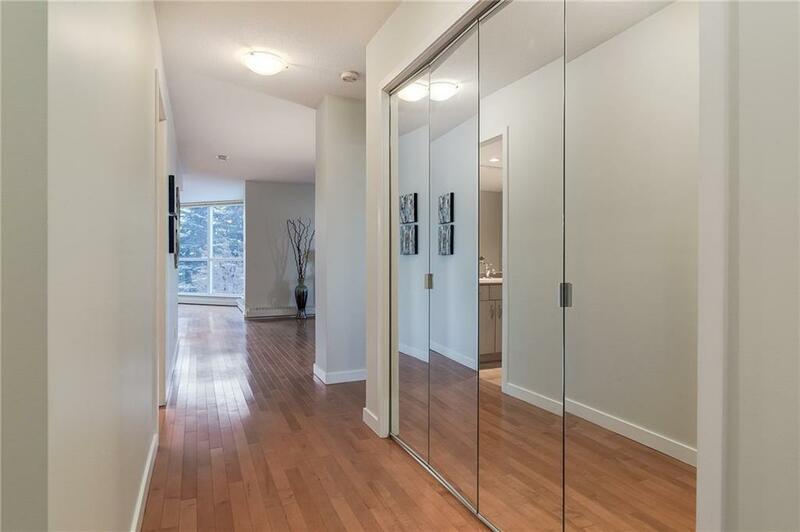 The master bedroom is a generous size with walk-through closet (with mirrored doors) to the 4 pc ensuite. In-suite laundry, titled tandem parking (2 spots) and extra storage locker complete the package. 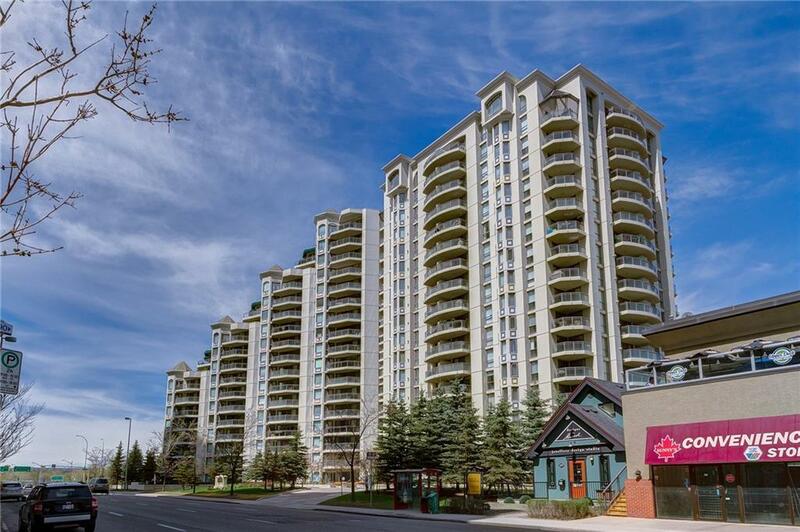 The Marquis offers owners day-time caretaker service, exercise facility with hot tub & change rooms, lots of extra indoor visitor parking and a superb location overlooking the Bow River, pathways, and 1 block to the LRT. 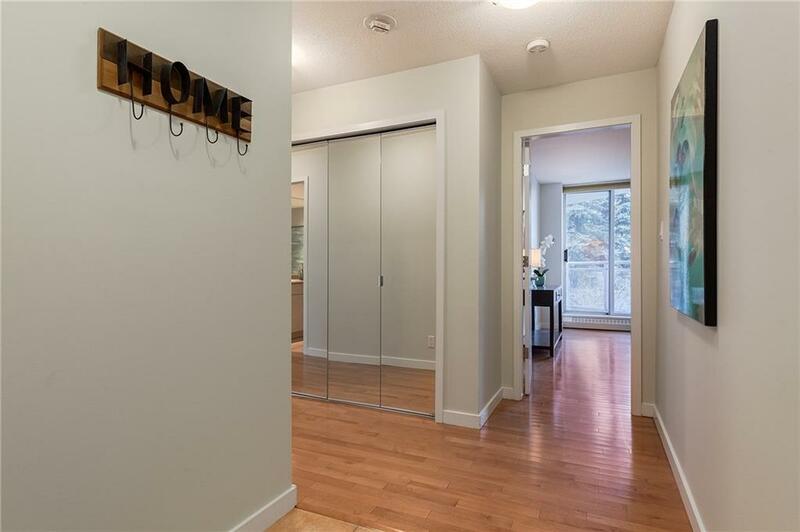 Call to view this gorgeous suite today!